Formula Atlantic drive earlier in the year. Now the young Tyrolean is looking at endurance racing as a possible career path. In a quick test at an airfield close to the team's base in Germany, before their departure to Spain on Monday, Siedler got behind the wheel of the Courage C65-Judd for the first time, and thoroughly enjoyed the experience: "At last I'm in a real racecar again!" said the young man whose daily driver is currently a humble 75hp Fiat. "Even though we only went up and down the runway, my first impression of the car is very good. The engine has a lot of top end power, and once the paddle shift system is activated it will be even better to drive." 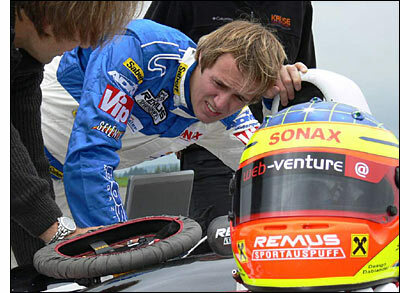 In view of the fifth place for Kruse in the last race at Donington Park, his goal is to "give my best and try to help get my team as far up the order as possible. I have kept in shape over the recent weeks and months by working out for up to five hours a day, every day, and also cycling and driving the shifter kart. 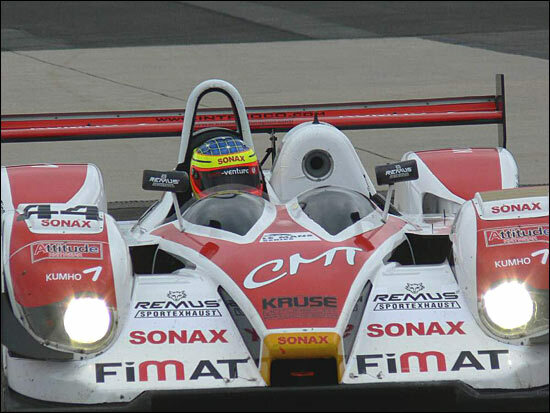 Perhaps this will make a difference in an endurance race." certainly wouldn't mind having a go one day, preferably in a competitive car." He'll be partnered by Kruse regulars Jan-Dirk Lueders and Jens Petersen this weekend.